On the first day of the seventh month (Tishrei) you shall have a holy convocation; you shall not work at your occupations. It is a day for you to blow the trumpet sounds (Yom Teruah), and you shall offer a burnt offering, a pleasing odor to the Lord (Numbers 29:1-2). The festivals of Rosh HaShanah and Yom Kippur, preceded by the month of Elul and couching the ten Days of Awe between them, effectively form the threshold of the new Hebrew calendar year; the start of a new cycle of time. Our awareness and participation at this time will have a significant impact on our spiritual direction in the year ahead. Embedded in this holy season are tools to help ensure that our spiritual lives will continue to blossom and develop. These awesome days call and inspire us to transcend our reluctant or passive inclinations and to step out and rise above the place we already have reached. The challenge is there, either to seek comfort and settle for less or to willingly pursue the endeavors our Father and King has planned and purposed for us, personally and together with others, in the building of His Kingdom on earth. The latter option may demand more of us but the rewards are abundant and of enduring value. 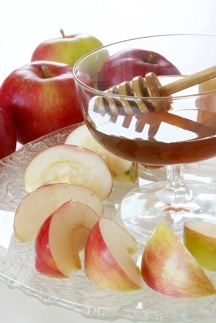 Rosh HaShanah generally is celebrated for two days, the first and second of Tishrei. Interestingly, the Torah readings on Rosh HaShanah (Genesis 21 and 22), include the birth of Isaac on the first day and the binding of Isaac, Akedat Yitzchak, on the second. The Talmud considers the first of Tishrei as the day on which Man was created, which marks it as the ‘birthday’ of the human race. The supernatural birth of Isaac, however, was the beginning of the first God-ordained family unit according to His Covenant promise. If one is to serve God as Creator and King and to participate with Him in building His Kingdom, one must start with one’s self and one’s family. The reading of the binding of Isaac extends this concept. Rabbi Shlomo Riskin points out that Moses ascended Mount Sinai alone but “Abraham ascended Mount Moriah [the Temple Mount] with his son Isaac, making it a family experience.”  Moreover, God gave the Israelites the Torah on Mount Sinai; extending the family to a covenantal nation. Abraham and Isaac were willing to present God with a sacrifice on Mount Moriah. Centuries later God would present His perfect sacrifice on this same Mount, that of His own unique and precious Son. To achieve redemption and perfection of God’s purposes in our lives requires a willingness to sacrifice. More often than not, the sacrifices we are challenged with, as well as the inherent blessings, arise in the context of close relationships. Yom Kippur offers the opportunity to apply the readings of Rosh HaShanah in practice. As we step away for a day from the material world and sacrifice the daily essentials of bathing, eating and drinking in order to draw more closely into the realm of the spirit, as it were, we are able to focus all our attention on the true and eternal meaning of life. Our Father is faithful to meet with us as we practice this ‘denial of self’ in response to His command. We discover that sacrifice brings its own singular blessing. The predominant sacrifice we bring before the Lord during this season is the “sacrifice of our lips and heart” – that of tefillah, prayer. In Jewish tradition, the celebration of the ‘High Holy Days’ is centered in the communal prayer services in the synagogue. The connecting thread of the services is the cry of the shofar. The commandment in Numbers 29 implies that one is to hear the sound of the shofar. A shofar is fashioned from a ram’s horn. It is the powerful symbol of God’s provision of the ram, with its horn caught in the thicket, which was to be sacrificed in place of Isaac. For You hear the sound of the shofar and You give ear to the teruah, and none is comparable to You. 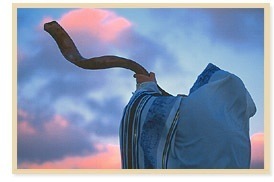 Blessed are You, Hashem, Who hears the shofar-sound of His people Israel with mercy. The blowing of the shofar consists of three different notes that are blown in a specific sequence. Each note carries its own meaning and evokes a particular emotion when we hear it. Tekiyah is a long, steady note. It’s the ‘wake up call’ – the signal that the King is approaching. It challenges us to examine our lives and ensure that we are prepared and doing all we can to fulfill the potential our Father has placed within us; that we are being and becoming the unique person He created us to be. Shevarim is of medium length and breaks with a rise at the end of the note. It is a plaintive sound, sounded three times. It echoes our understanding of the brokenness that still exists within us and the world. A cry of the heart in repentance, it expresses a longing to start again and to bring joy to our Father’s heart. Teruah is a series of three short, staccato notes, repeated three times. Teruah blasts are comforting and encouraging. They assure us that all growth takes ‘small steps’; every journey is only accomplished by taking the first step forward. The notes also echo a promise of the refreshing rain we pray will soon fall according to the will of our great Creator. At the conclusion of Yom Kippur a final Tekiah is sounded. It is a long, victorious, unbroken note that is drawn out as long as the shofar blower has breath. It signals full forgiveness and spiritual restoration, and sends one forth into the year ahead more whole and prepared to go forward in newness of life. 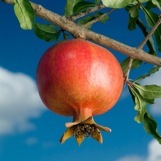 During this season, on seeing the pomegranate trees scattered in all Jerusalem neighborhoods, and through most of Israel, one notices that the bright orange flowers that blossomed between Passover and Shavuot have given way to the shining shades of gold and reds of the beautiful pomegranates that are associated with the Fall Feasts. In particular, they are eaten at Rosh HaShanah [see recipes below] and can decorate the sukkah at the Feast of Tabernacles. In general, however, they beautify the streets and fields and remind us of the three main themes of the season: Malkhuyot (Kingship), Zikhronot (Remembrances) and Shofarot (Hearing the Shofar/Trumpet Sounds). 1. Malkhuyot proclaims God’s Kingship and sovereignty as Creator over all the earth and mankind. He is omniscient and omnipotent and is actively and constantly involved in the world. As the redeemed who acknowledge His Kingship, and in the authority given us in Messiah (Ephesians 2:6), we are encouraged to yield our lives more fully to His control and to live for His glory as sons and daughters of the King. Pomegranates decorated the hem of the High Priest’s garment, and King Solomon decorated the two great pillars at the entrance of the Temple with a crown of two hundred pomegranates. The pomegranate fruit has a six-pointed crown-shaped calyx that protects the stamens, the providers of pollen and new life, and resembles the Star of David. In the light of the fact that the Fall Feasts await fulfillment at Messiah’s return as Mashiach ben David, Messiah of King David’s line, the crown can reflect the promise that he will reign at the end of days as King of kings in our Father’s Kingdom. 2. Zikhronot reminds us that God cares for us, and all His Creation. We remember His mighty acts of salvation and redemption. We also remember all our deeds, and offer Him the good in gratitude and repent of the bad and those that missed the mark. 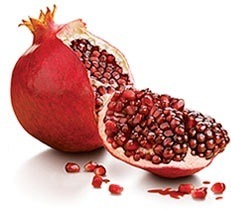 The seeds of the pomegranate are many; some say there are 613 that correspond with all the positive and negative commandments contained in the Torah. The small pit is shining white and is covered with a sac of bright pink juice. It is a striking picture of our life in Messiah. We are made righteous, “Your sins will be washed white as snow” (Isaiah 1:18). As the seed, we are filled with potential for new life and can draw nourishment from the living water of Messiah’s resurrection life. Resting in him, we trust for a year of fruitfulness. 3. Shofarot teaches us of the revelation of God at Mount Sinai and of the redemptive sacrifices He provided of the ram and of the Lamb at Mount Moriah. In hope and faith we anticipate the ultimate trumpet that will sound the final, great Redemption to come, when Messiah returns as the Lion of the tribe of Judah and establishes the eternal Kingdom of God in all the earth. The sound cannot be stilled and surrounds us with the reassurance of His Presence, even if presently it is hidden from our eyes. Another fruit associated with Rosh HaShanah is the apple; perhaps due to the fact that the festival is linked with the creation of Adam and Eve! A plate of sliced apples together with honey is always included at the special celebration meal. Apples are indicative of good health, as per the well-known adage, “An apple a day keeps the doctor away.” An apple slice is dipped in the honey and eaten with a blessing and prayer that the year ahead will be healthy and sweet. Shimon Apisdorf adds the insight that usually, on most fruit trees, the leaves appear first and offer a protective covering for the growing fruit. The apple, however, appears before the leaves and is therefore more exposed. This indicates that although we may be vulnerable, like the apple, our invisible ‘shield’ and protection is the Creator Himself. Apisdorf also points out that the bee, which produces the sweet honey, can also deliver a painful sting. Life has this same duality of potential. Thus we pray for our Father’s protection and trust for His provision of a good and sweet year. The Torah of the Lord is perfect, reviving the soul; …sweeter also than honey and drippings of the honeycomb (Psalm 19:7, 10). In a large heavy skillet brown the chicken pieces quickly in hot oil. With a slotted spoon, remove the chicken and in the same skillet saute the onion until nicely browned. Add the walnuts and continue to saute over low flame, for 2-3 minutes longer. Cut the pomegranates in half, scoop out the seeds and discard the pith. Place the seeds in a blender and blend for 3-4 seconds and then strain the juice into a bowl, pressing to squeeze out the juice. (This should yield about 1 cup of juice). Pour the juice into a skillet, add the lemon juice, sugar, 2/3 cup of water and salt and pepper to taste. Bring to a bare simmer, stir, return the chicken pieces to the skillet and cook, uncovered until the chicken is very tender (45 minutes to 1 hour). Taste and correct the seasoning with more lemon or sugar to taste. If the sauce is too thick, thin with a little water. Serve hot. Add the sugar to a saucepan with 4 cups of water, and boil for 5-6 minutes, stirring regularly. Remove from the flame and let cool. Refrigerate until the syrup is lightly chilled and then add the pomegranate seeds and lemon juice. Pour the mixture into open ice cube trays or shallow metal pan and place in the freezer. When the mixture is half frozen, stir well, replace and then stir again every half hour until you have stirred the mixture 4 times in all. Pour the mixture into individual sherbet or dessert cups and let freeze solid. Transfer to the regular refrigeration compartment about 10 minutes before serving, and serve garnished with mint leaves. Enjoy! 1. Rabbi Shlomo Riskin, Jerusalem Post article: Perfection at Home, October 3, 2003. 2. Shimon Apisdorf, Rosh HaShanah Yom Kippur Survival Kit, Leviathan Press, USA, 2000, 37. This entry was posted in Rosh HaShanah - Feast of Trumpets by Cindy Lou. Bookmark the permalink.